I’ve often encountered people who’ve strongly stated that feminism is just a group of angry women who hate men; women who would rather overpower the male population rather than work alongside them as equals. These are the kinds of people that call feminists “feminazis,” and those who state that feminists disregard the struggles that men go through as well. The list goes on, but I digress. I’m here to talk about feminism, and how it benefits everybody, and is inclusive for all genders. I was surprised when I was first told this some years ago. 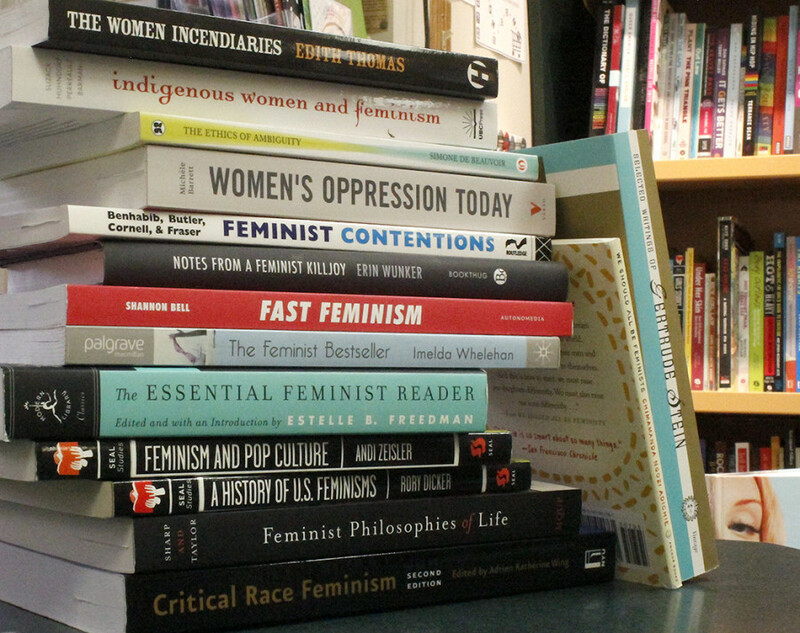 But like almost everything in life, being a feminist is a learning process. I noticed a flux of people who were saying things like “I’m not a feminist because I believe in equality for all genders!” Did you know that that’s what feminism is? Or at the very least, what it’s supposed to be. Feminism today aims to even out the playing field for everyone, so that we can all be paid equally and be considered as equals among our peers in any field. Feminism today also aims to break gender binaries, allowing for anyone to dress the way they want, talk how they want, or even like whatever they want, without being judged or discriminated against. Feminism aims to destroy the patriarchy—the enemy of all genders, not just women. The patriarchy tells us that men aren’t allowed to like the colour pink or feel emotional, cannot be victims of sexual violence, and must be the breadwinners in families. On the other hand, the patriarchy tells women that they must produce babies like it’s their birthright, know their place which is in the shadow of men, and are blamed for being sexually harassed or raped because of the way they dressed which, as we all know, obviously means she was asking for it. As inclusive as the feminist movement is supposed to be, a lot of men feel intimidated by it and do not feel welcome in conversations revolving around feminist issues. Sometimes a genuine question about feminism can be met with hostility. Perhaps this contributes to the negative perception of feminism, or perhaps why they think feminism is solely for women. It’s because of this hostile reaction that people don’t talk about it as much as we should, leaving people to make their own negative assumptions about it. treat either gender is based on old stigmas and rules.” Sciannamblo identifies as a straight cisgendered man. In his work, he aims to create strong and diverse characters. Cutting men off from the conversation is counterproductive—it only creates more hostility and keeps everyone in a stagnant state. Making information and conversation accessible is key to moving forward in this case. I learned about feminism when I was in CEGEP, only getting a rough idea of exactly what the fight was for. I remember making a comment like, “Yeah, men have issues, but they’re not as bad as women’s!” The person who I said this to had made an unhappy face, and I wondered why. Luckily, I had people I could approach and talk about these things with, allowing me to grow and learn. The same can be said for Max Bradley, an experimental filmmaker in the process of completing their master’s degree in filmmaking at Université de Montréal. Bradley identifies as non-binary. “Feminism is a movement to end all oppression,” Oliver Leon Porter, who is genderfluid, said. Leon Porter stated that they believe it’s important to talk about feminism and inclusivity as much as possible, agreeing that it should be more widespread in all spaces as well so as to better educate people on the issues. Overall, all these people that I spoke with agreed that it’s important to just talk about feminism and make it as inclusive as possible. Hateful comments that alienatespecific groups really just mislead people into thinking that feminism hates all other genders save for women, which definitely is not what feminism is. When you push anyone away from the conversation, explaining that they can’t talk about feminism because they can’t relate or understand, then you’re just missing out on the opportunity to educate people. The best remedy for ignorance is to talk about it openly. Shutting people out is probably the worst thing people can do. Had I not had anyone to talk to about it in CEGEP, I either wouldn’t know what feminism was, or I would have continued to think that it was only about women. So let’s talk. All of us.